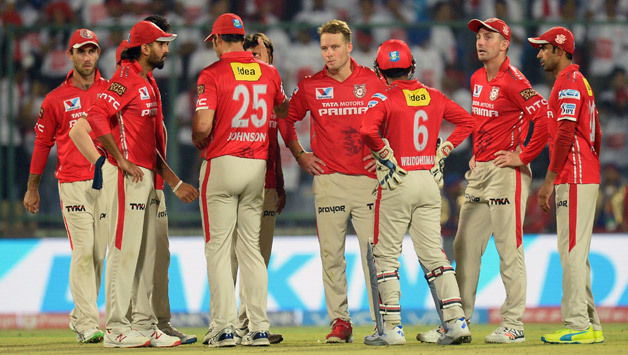 Kings XI Punjab Team Squad 2019: Kings XI Punjab finished the last season of IPL by standing in 8th position. They did not get the honor to win this most prestigious T20 league title yet which team is led by the right-handed batsman of Indian national team Murali Vijay. He almost played two seasons with the franchise team which represents Mohali, Punjab in IPL. Bollywood actress Preity Zinta is one of the few partners who own the team. KXIP started to play in this short form cricket tournament since the beginning of IPL in 2008 but could not make it to the title. They played final once in 2014 highest. KXIP yet to make their final declaration about their complete team squad for the upcoming 10th edition of IPL which will start in next April 2018. They could hold their previous season players but the matter yet to be finalised. Though, the players auction for the upcoming season would be staged in next months but some players they could retain from the last squad. In the last season of IPL, Hashim Amla, Shaun Marsh, David Miller, Glenn Maxwell, Marcus Stoinis were their overseas players. Among the, Amla would probably not play with them in an upcoming season. Let’s take a look below where their current players list is given which would probably change in an auction. Though, KXIP is one of the most high profiled team in IPL but in last season of Indian Premier League, they played total 14 matches where managed victory only four times. However, team Kings XI Punjab has already released four players from their current team squad named Rishi Dhawan, Kyle Abbott, Mitchell Johnson and Farhan Behardien. They have also spent almost 42 crore INR already and now looking forward to the auction which would be held in next February. KXIP spent a worst IPL season in 2016 and also released the fewer players than others. However, they still holds with the deal with David Miller who is still one of the top paid player in the team. Besides, they have still a number of local talented players this time and they are all desperate to turn around.